Is there anything more magical than laying eyes on your baby for the first time? For this mum, it was also a miracle. 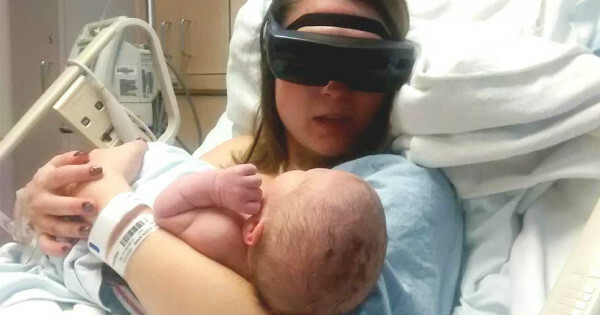 Like all parents, Kathy Beitz wanted nothing more than to see her baby on the day he was born – but she has been legally blind since childhood. However, her wish came true after a company let her borrow a special pair of glasses for the day. 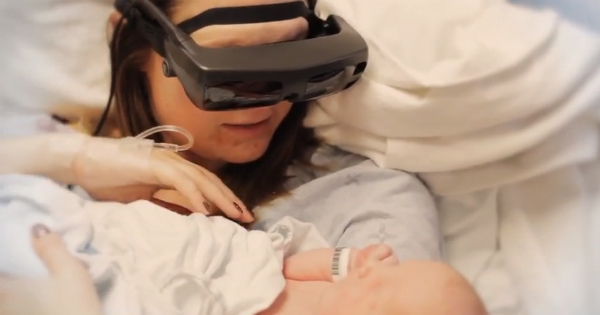 The $15,000 glasses, made by eSight Corporation, combine a camera, display technology and advanced computing into a real-time video that allows vision-impaired people to see. The priceless moment when Ms Beitz saw her baby for the first time – actually, the first time she saw any baby – was captured on video by her sister, Yvonne Felix. Ms Felix, also legally blind, tells Huffington Post she missed out on seeing her two children when they were born and didn’t want her sister to go through the same thing. Ms Felix has started raising money to buy eSights for legally blind people, including her sister, through her #MakeBlindnessHistory project. “We won’t stop until every blind person who wants to see, gets eSight,” she writes.